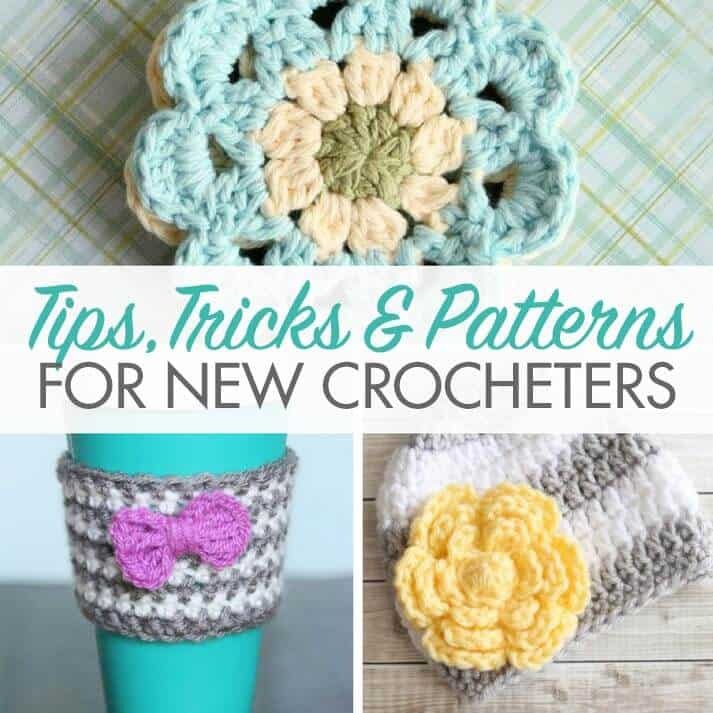 Choosing a free flower crochet pattern can be difficult. Why? Because there are so many beautiful patterns around the web. 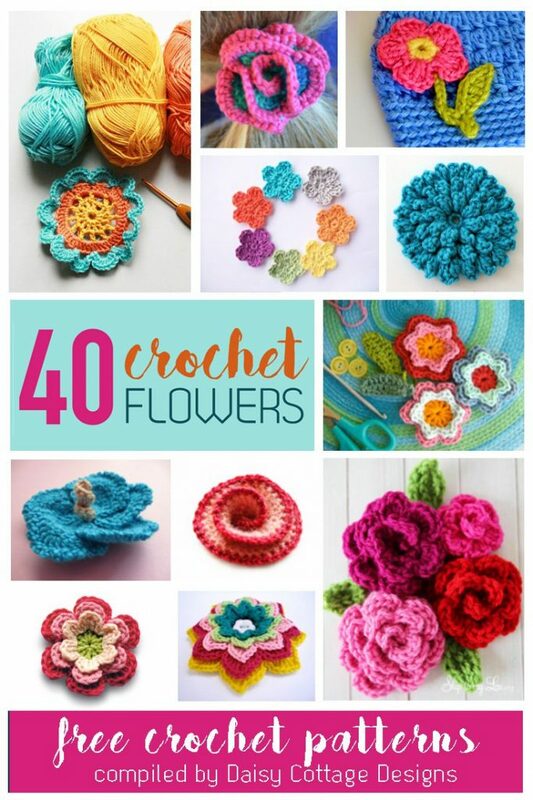 Flowers are some of my favorite crochet patterns. 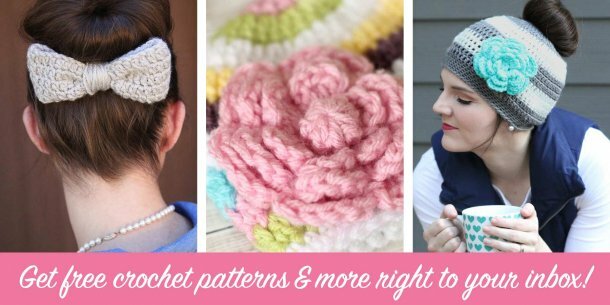 I’m always on the lookout for another beautiful flower crochet pattern – whether it’s to embellish a hat, put on a headband, or decorate something in my house, I love them! Instant gratification projects are right up my alley – flowers are usually super quick and I can typically finish them in one setting – definitely a good thing for this busy mom of three. Japanese Flower Tutorial by Revlie. I love Revlie’s color choices in this pretty and fun Japanese Flower – so bright and cheerful! Frilly Flower by the Green Dragonfly. Janette’s quick Frilly Flower is super easy to whip up and results in an adorable flower. 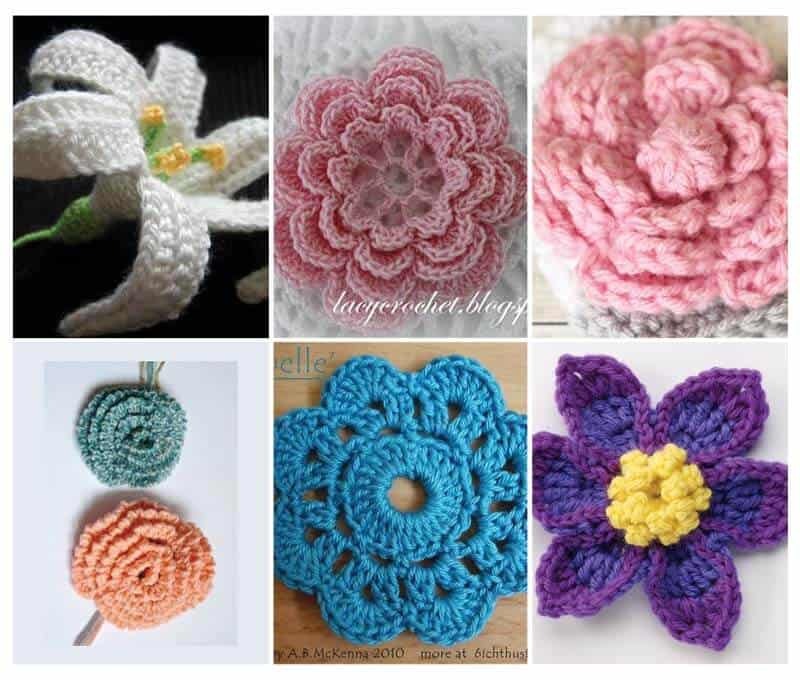 Crochet Flower Pattern from Mango Tree Crafts. This cute little flower looks just like the daisies I loved to draw all over everything when I was in middle school. So adorable! 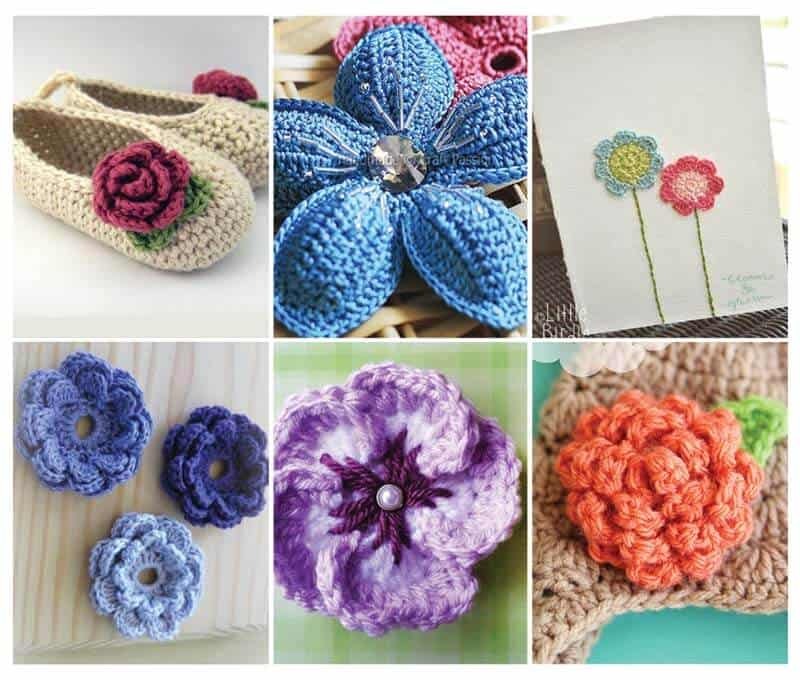 Crochet Posies from Flower Girl Cottage. These Perfect Posies are just that – the perfect addition to oh so many things! Popcorn Stitch Flower from BHooked Crochet. Brittany’s Popcorn Stich Flower is just stunning . 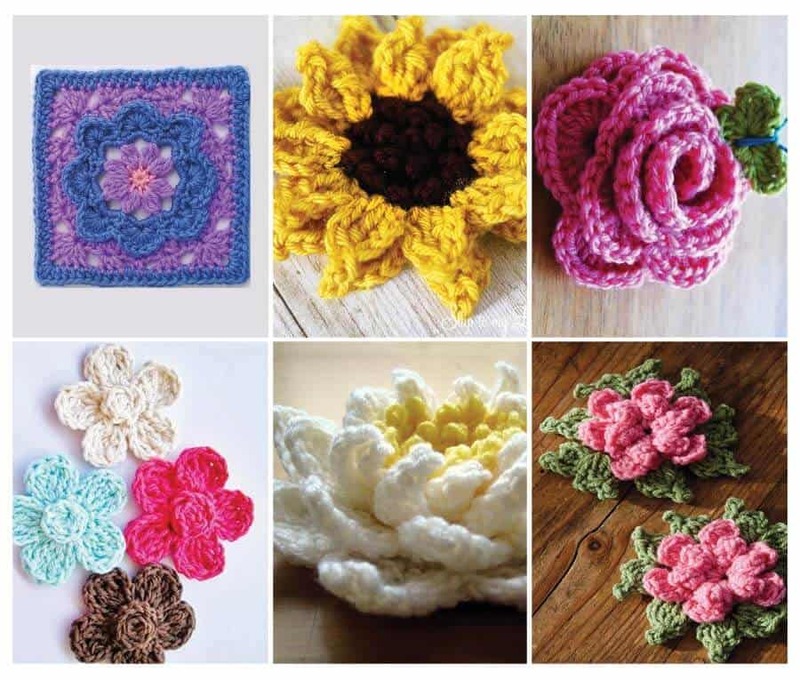 . . plus it’s an “adjustable” flower – You can stop at just 1 round for an accent flower, or keep crocheting until you have a pillow-size flower! Crochet Hibiscus from Speckless. Heidi developed this beautiful Hibiscus Flower pattern when she couldn’t find one anywhere. It turned out beautifully! Crochet Swirls from Zoom Yummy. 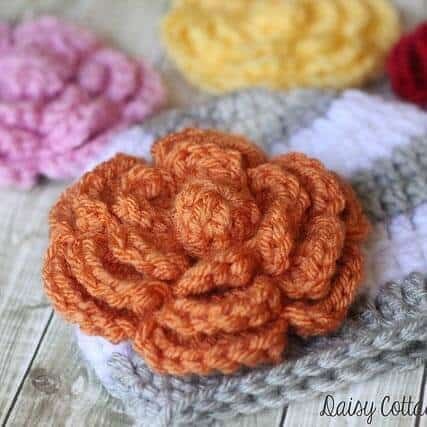 This “flower” would look beautiful on any baby headband! 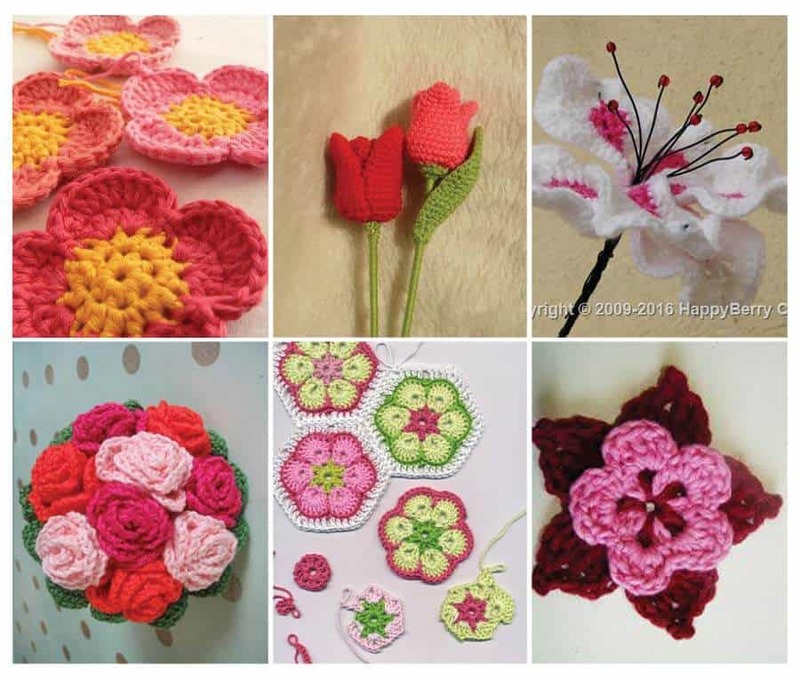 Easy Rose Crochet Pattern from Skip to My Lou. These roses are just amazing. 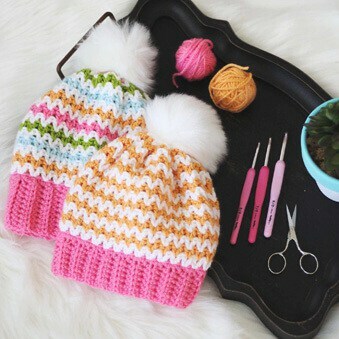 Make single ones to attach to a hat or hair band, or make a whole bouquet of them! Small & Large Flower from Molly Makes. There are so many options for this versatile flower – stack them or use them alone. So cute! 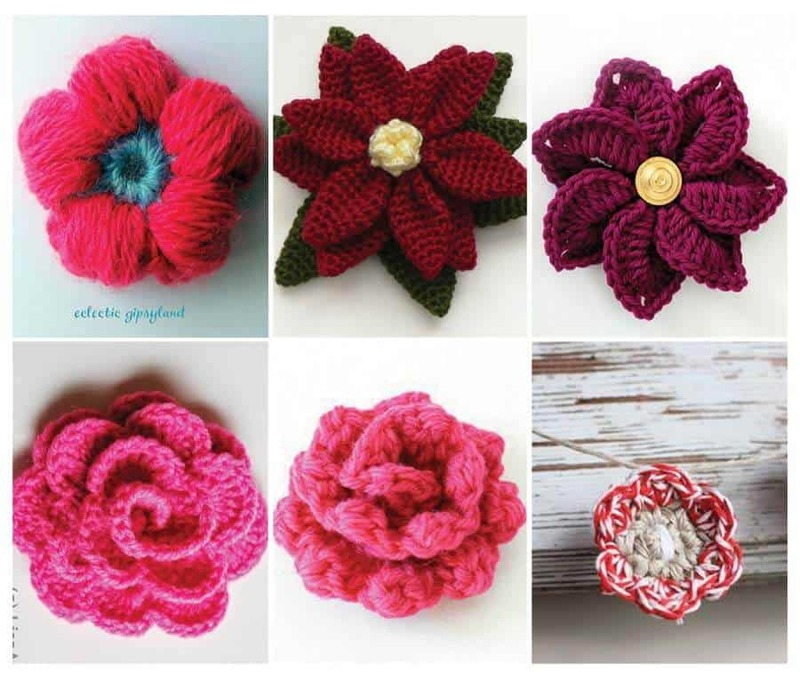 Crochet Flower Brooches from Stitch of Love. 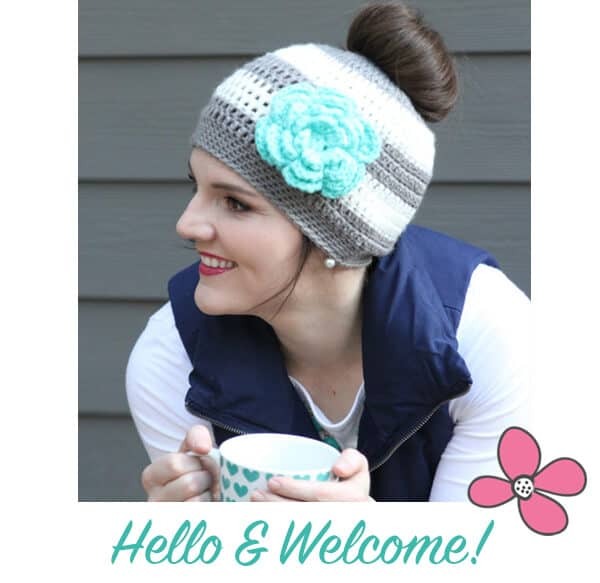 This Layered Petal Flower from Stitch of Love is gorgeous; choose your own combination of colors to make it just the way you want it! 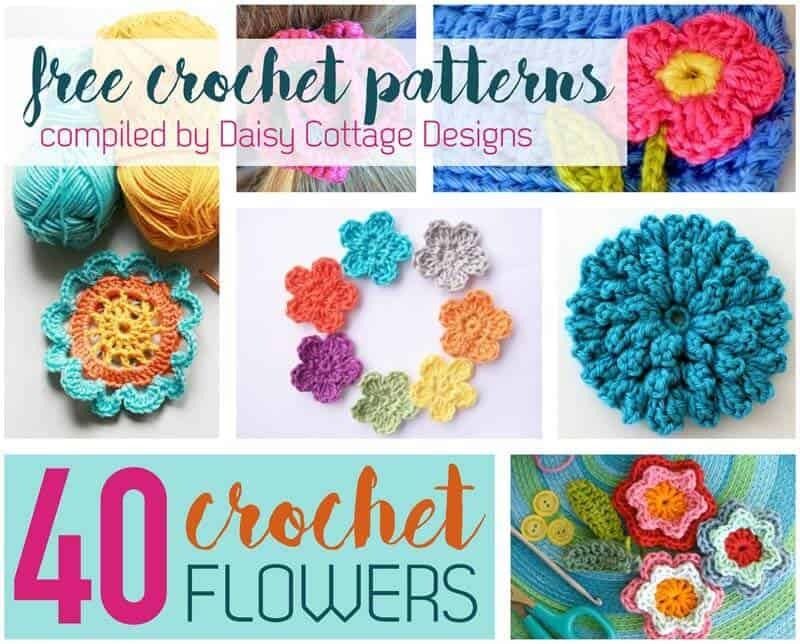 While all these free flower crochet patterns are beautiful, they couldn’t all make it into the collage. 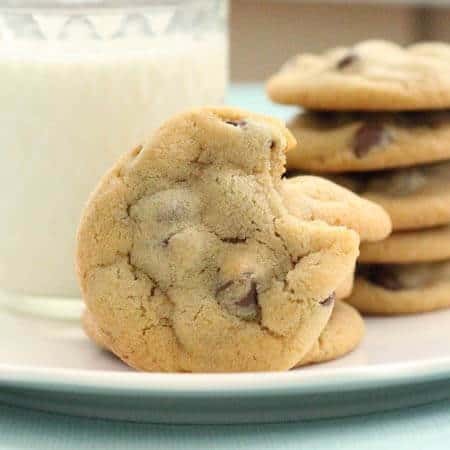 Here are the rest! Thank you for the lovely granny square blanket pattern. 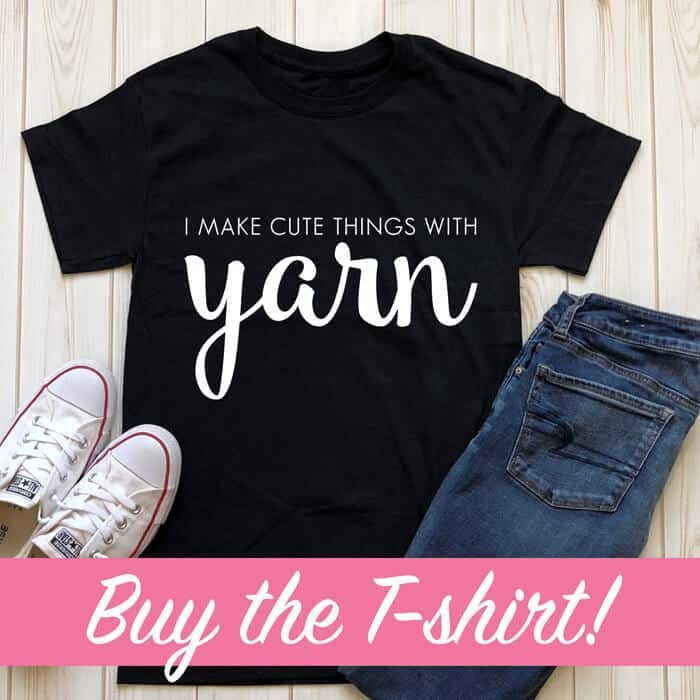 I’ve been searching everywhere for a pattern that didn’t require yarn change after each round and this one is perfect. I also love your other creations and am adding your blog to my list to frequent.